Botanicals refer to plants or their parts that have therapeutic or medicinal benefits such as herbs. Any product that contains botanicals and is manufactured to improve health are called herbal products, phytomedicines, or botanical products such as full spectrum hemp oil. 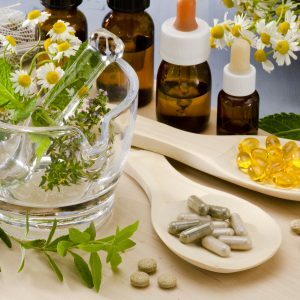 Botanicals are often included in dietary supplements because of their nutritional and medicinal value. They can be manufactured either as a pill, tablet, capsule, or liquid. You may have already heard of herbal teas or botanical supplements. These are just examples of botanical dietary supplements. For a product to be considered as a dietary supplement, it must be manufactured as a supplement and it must be labeled as a dietary supplement. It must also contain at least one or more ingredients that are botanicals, vitamins, minerals, amino acids, or their constituents. If you’re planning to get yourself another bottle of supplement, consider getting a supplement that contains any of these seven botanicals that have amazing health benefits. You can also enjoy these botanicals as tea, spice, or even as a salad green. Either way, you’ll be able to reap a lot of healthy nutrients from these medicinal plants. You may have already heard about the benefits of drinking chamomile tea before you sleep. But did you know that even in ancient times, the therapeutic and medicinal value of chamomile has already been acknowledged? In fact, chamomile can be found in Greek and Roman ancient medical documents. The reason why this plant is so valued is that it can help relieve many conditions. In dietary supplements, chamomile is often used to relieve gastrointestinal conditions. If you have an upset stomach or diarrhea, or you can’t stop expelling gas, try drinking a cup of chamomile tea. Chamomile is also known to help with sleeplessness and anxiety. In fact, studies show that for mild to moderate generalized anxiety disorder, drinking chamomile can produce modest benefits. Fenugreek (Trigonellafoenum-graecum) is often used as a spice or condiment while its extracts are used in cosmetics. The traditional use of fenugreek was for digestive problems. It was also traditionally used to improve libido and masculinity in India. These days, however, fenugreek is used in dietary supplements for diabetes, weight loss, and testosterone enhancement. One of the active constituents of fenugreek that works to bring glucose metabolism down to normal levels is called 4-hydroxyisoleucine. Other fenugreek constituents like trigonelline and galactomannan also have positive effects on blood sugar levels. Turmeric, also known as Indian saffron or Indian curry, is a spice that’s commonly found in India and Central America, as well as in other parts of Asia. In Ayurvedic medicine, turmeric is a popular treatment for conditions such as rheumatism and fatigue. It’s been established that turmeric is safe when taken orally or applied to the skin. 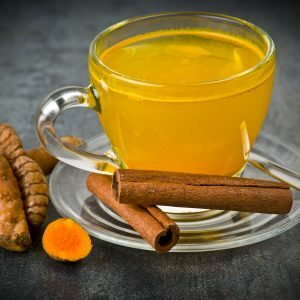 In fact, you can simply mix turmeric powder with hot water and drink it coffee-like everyday. Curcuminoid is the main active constituent of turmeric. It has been found to provide relief from knee pain caused by osteoarthritis. Studies also show that topical use of curcuminoid can help reduce skin irritation caused by radiation treatments. If you feel like your liver has taken a beating lately, taking milk thistle supplements as part of your daily diet can actually help. Milk thistle is an herb that contains silymarins, which accounts for its popularity in traditional medicine for treatment of liver disorders. In the Middle East and Europe, milk thistle is recommended for liver and gallbladder problems such as jaundice, cirrhosis, and even hepatitis. In Ayurveda and traditional Chinese medicine, milk thistle is also used similarly. One notable usage of milk thistle is to treat mushroom poisoning, especially against the mushroom known as Death Cap, a lethal mushroom containing phallotoxins. Milk thistle is commonly used in dietary supplements to improve liver function. It is also considered as an anti-diabetes supplement because it may cause reduced uptake of glucose as well as inhibiting the transportation of glucose. There’s also evidence, although at this point still limited, that milk thistle may have anti-obesity properties. This is one botanical that you probably won’t have any difficulties incorporating into your diet, although you may not have thought of it as a supplement but rather as a spice. Aside from its aromatic smell, cinnamon can give you anti-diabetic benefits. First off, it contains compounds that provide insulin sensitizing benefits. The compound that’s responsible for its distinct aroma is cinnamaldehyde while coumarins contribute to its taste. Cinnamon also contains other healthy constituents like tannins and flavonoids. Cinnamon is great for people battling with diabetes. It improves cellular glucose use and because it slows down glucose absorption, it prevents blood sugar spikes. You may think of dandelion as just pretty seeds being blown by the wind. But this plant with the scientific name of Taraxacum officinale is actually a vegetable and it makes for a delicious salad green. In traditional Chinese, Arabic, and Native American medicine, dandelion is often used to provide relief for liver, gallbladder, and bile duct problems. Dandelions are rich in vitamin A and potassium and it also has a diuretic effect. Current uses of dandelions include blood tonic, diuretic, and for the relief of minor digestive conditions. Although there has not been a lot of scientific studies about it, previous studies on dandelions indicate that it may have a protective effect on the pancreas. There are also indications that it helps digestion by facilitating the movement of food from the stomach to the small intestine. Saw Palmetto is a plant that’s native in the Southeastern United States region. It’s popularly used as a testosterone booster and for prevention of prostate growth, although the scientific evidence for both health benefits is still considered insufficient. Saw Palmetto is considered safe for consumption in men with enlarged prostates or benign prostatic hyperplasia (BPH). The fruit of the plant is often used as dried fruit or whole berries and prepared as tablets, capsules, infusions, liquid extracts, or tea. Other uses of saw palmetto include chronic pelvic pain, hair loss, and migraine. It is also sometimes used to improve decreased libido.